I love to cook with olive oil but have always used it as a part of my cooking rather than a component of the flavor profile of the dishes I make. That was until I was introduced to Pompeian Varietals. This is a premium line of mono-varietal extra virgin olive oils that have unique flavors that are suitable for different dishes. Just give me an ingredient and I'm already off to the races trying to think of how to use it. 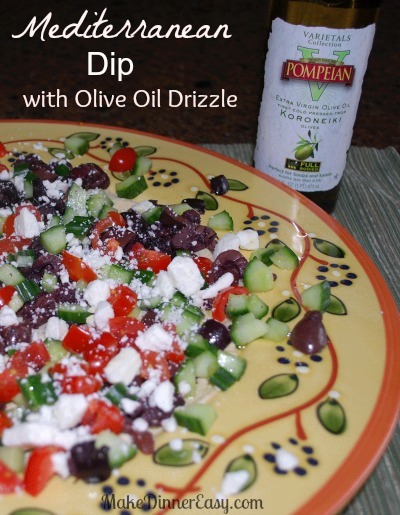 After receiving a few bottles of the Pompeian Varietals collection my thought was to use the distinct flavor of the oil to enhance a recipe and this Mediterranean Dip Recipe was born. Before we get to the recipe, let's talk olive oil. Olive oil needs to smell and taste fresh. I usually recommend buying smaller bottles more frequently and keeping them in a dark place to ensure freshness. Pompeian takes care of this by packaging their Varietals in a 16 ounce tinted bottle. These bottles have a tight fitting lid to help maintain the integrity of the oil. This company is reading my mind when it comes to freshness as they even include a lot number on the back of each bottle that allows you to go online to their Tree to Bottle site so you can discover the history of your bottle of olive oil! Arbequina – a mild-bodied extra virgin olive oil with a round taste of mature fruitiness and a delicate sweetness of almonds, ideal for fish and vegetables. Picholine – a medium-bodied extra virgin olive oil with a green fruitiness, hints of herbs and a pleasing balance of bitterness, great for meats and sauces. Koroneiki – a full-bodied extra virgin olive oil with robust fruitiness and a sensation of fresh cut grass leading to a peppery finish, perfect for soups and salads. These are nice oils, they have less than .5% acidity which I understand means that only the highest quality olives were used for these first cold pressed extra virgin olive oils. 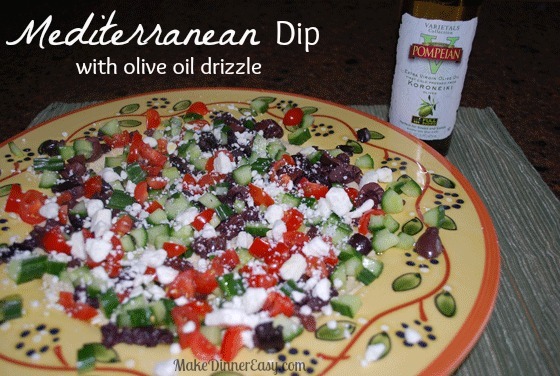 For this recipe, I chose to use the oil pressed from Koroneiki olives. The bottle told me it's perfect for soups and salads and I thought it would be a perfect drizzle for my dip. Spread the hummus evenly across the bottom of a large serving plate. Prep the remaining ingredients. making sure to blot the veggies with a paper towel to remove excess moisture. First sprinkle the chopped kalamata olives over the hummus, then evenly sprinkle the cucumber, then the tomatoes and top with sprinkled feta cheese. Serves 4-5 as an appetizer. I like this recipe because it's easy and quick to put together, has great flavor, requires no cooking, and has great presentation. It has lots of healthy ingredients and one of my kids just told me, "Make this again Mom!" Music to my ears. This is a sponsored post written by me on behalf of Pompeian. Be assured that my opinions are my own. I will be using these oils again and will certainly be making this dip again soon as my kids liked it so much! I would love to hear if you have any creative uses for olive oil. 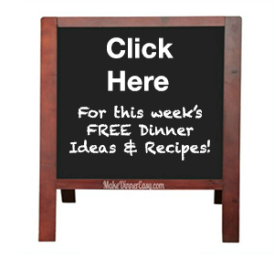 Do you use it for cooking and for baking? Feel free to comment below!